York University Associate Professor Lisa Farley has written a new book called Childhood Beyond Pathology: A Psychoanalytic Study of Development and Diagnosis (State University of New York Press, 2018). In the book, Farley describes how concepts from psychoanalysis can help shed light on questions in childhood development. She examines debates in the fields of education, childhood studies and psychology that argue over how children should be treated and who they should become. In focusing on times when adults disagree, she critiques the notion of a singular expert who can settle questions about a child’s detour from normative scripts of development. Drawing inspiration from her students’ questions, Farley’s main concern is finding ways to represent a child’s inner life without describing emotions as evidence that something is “wrong” with the child. What’s wrong are many of the preconceived notions adults have about childhood. Such notions shape the lives of children, sometimes with strongly negative effects. Exacerbating the problem of adults projecting onto children is the differing degrees of bias, discrimination and oppression some children face. Because of this disparity, modern psychological science is misguided in imposing the same standards on all children. The book is organized by a study of cases, with each chapter focusing on a particular child figure – the replacement child, the neurodiverse child, the counterfeit child, the child heir of trauma and the gender nonconforming child. Through each figure, Farley offers a portrait of development made from the complex intersection between inner and outer worlds, with a focus on times when they do not meet, producing misunderstandings and provoking adult anxieties. In situations where a child’s inner world does not fit the discourse of the school, teachers can experience pressure, whether from the school or community, to diagnose and “fix” their students’ “problems.” However, psychological knowledge also presents a problem for Farley and her students. A potential solution is to see a child’s emotions from the perspective of a fictionalized narrative. When people are reading, they are present to the psychological makeup and emotional concerns of the characters. There is less pressure to “fix” anything about the characters. Following their storied journey, readers can understand and empathize, theorize and speculate. This approach becomes easier when both teachers and students are better attuned to their emotions. Being aware of one’s emotions can generate deeper understandings of and creative approaches to the complexities that comprise psychical life. 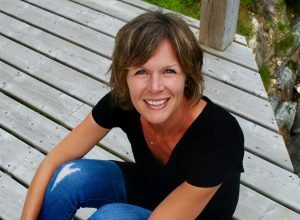 Although generally intended for a scholarly audience, Farley is confident her book is relevant to a wide array of people because it addresses issues that so many teachers face, including the problem of diagnosis, issues of ableism and disability, anti-Black racism in schooling and society, ongoing legacies of colonial history and transgender childhoods. Farley’s book can be purchased here: sunypress.edu/p-6601-childhood-beyond-pathology.aspx.